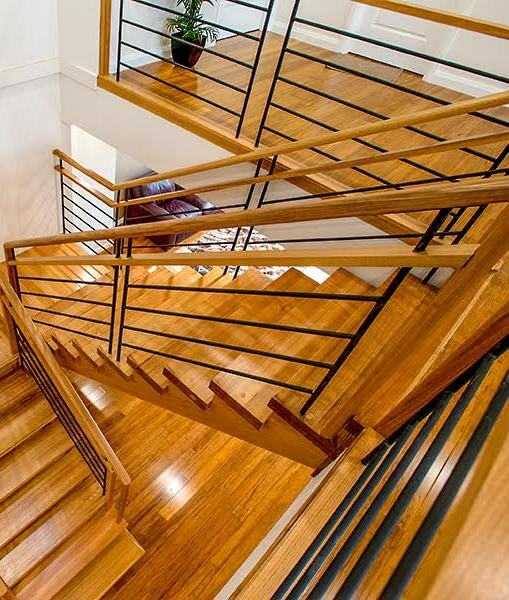 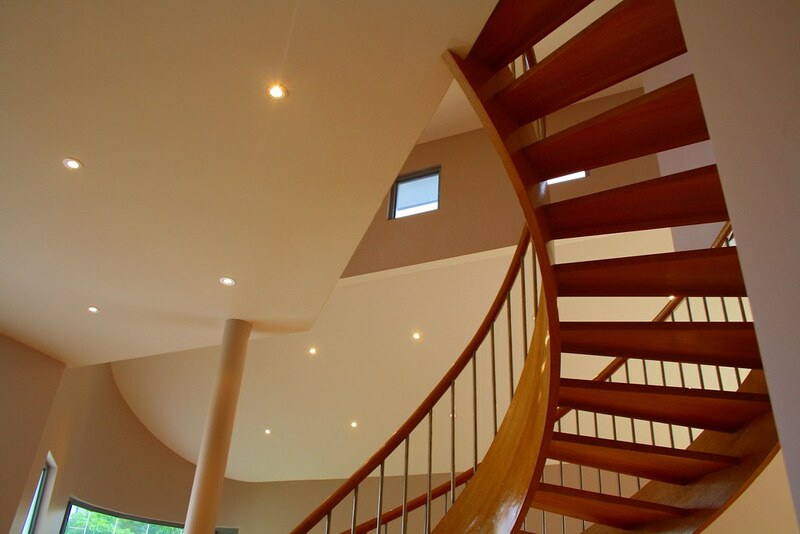 This staircase crafted specifically for this northern suburb home is truly spectacular. 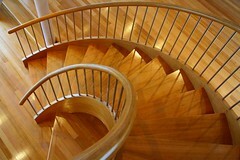 It is an open stair and curves a full 180 degrees to take you up to the second level. 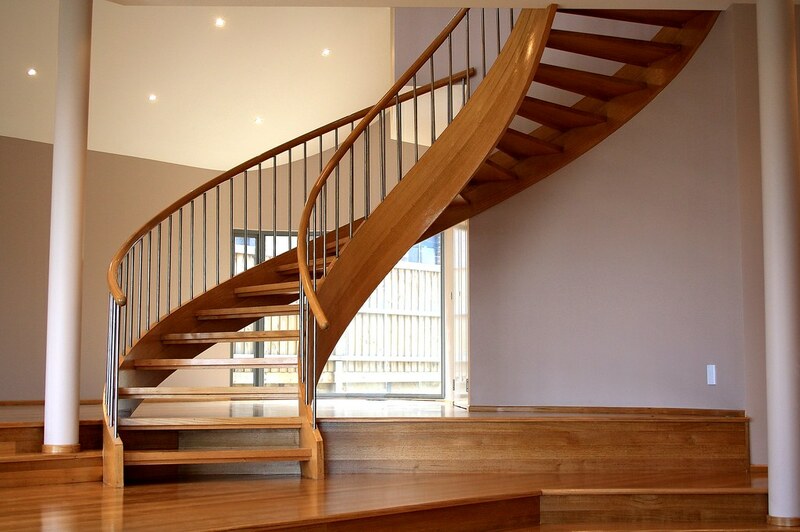 The client was looking for a modern freestanding stair that made an architectural statement within this grand home. 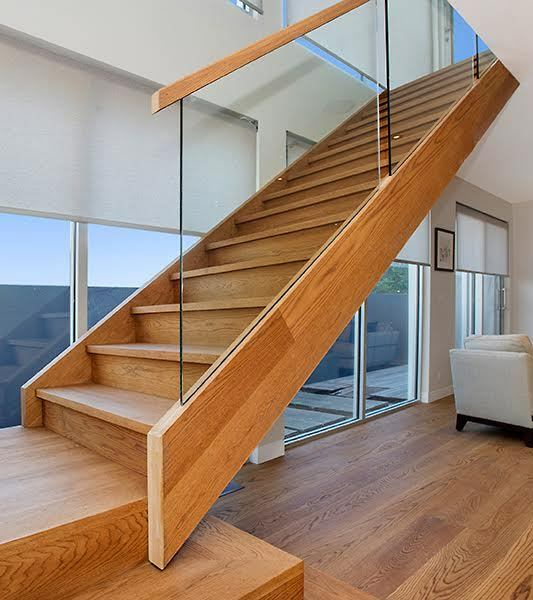 The stair and the round profile handrail are made from Tasmanian Oak, with the balustrading is in stainless steel, giving the staircase its modern look and feel. The layout of the staircase required it to marry into the split level steps in the home. 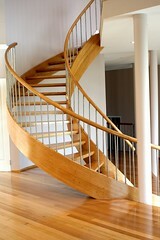 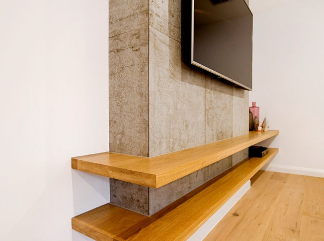 This was the key challenge in designing this staircase layout. 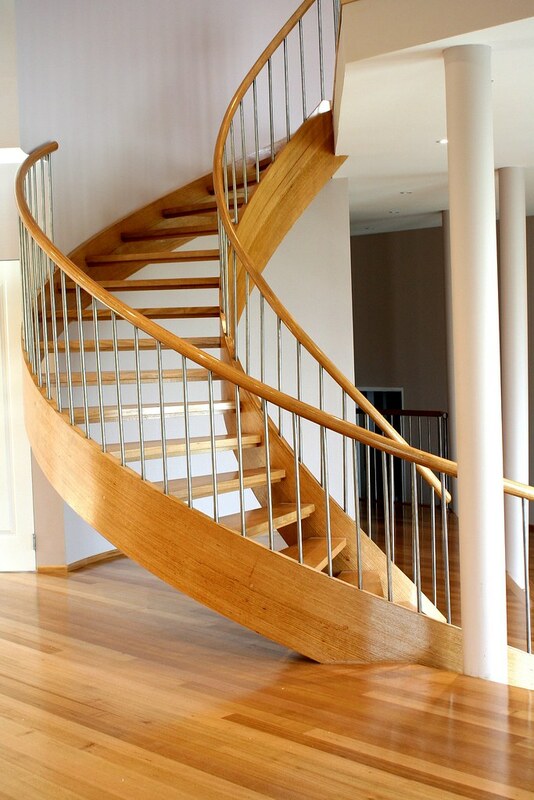 Specifications: Open stair; Closed strings; Treads with 30mm square nosings; The Material used are: Strings ex 50mm Tasmanian Oak; Treads ex 50mm Tasmanian Oak; Riser reducer strips Tasmanian Oak; Handrails ex 60x60mm Tasmanian Oak. 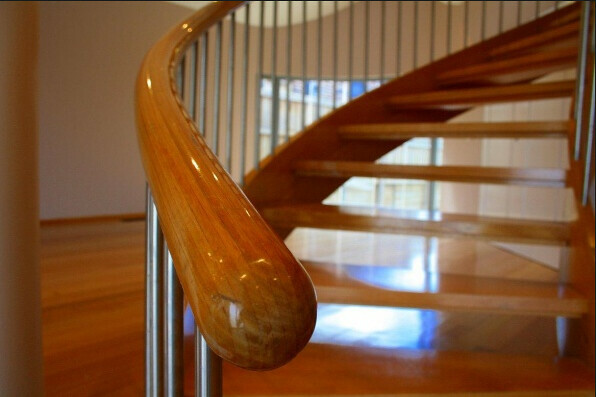 Specifications: Selected individual 20mm Round stainless steel balusters. Ex 60x60mm Round timber handrail. 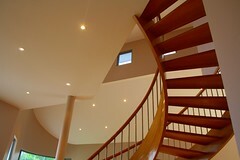 Ex 38mm level capping; Ex38 Fascia.